Of all the things I miss since going on a low-amine diet, the thing I miss most is marinara. I could literally eat marinara every single day, in a multitude of ways. Since my low amine diet, I have only treated myself to a bite or two here or there (and felt the consequences). Tomatoes absolutely destroy my amine threshold. I’ve been trying to come up with ways to substitute tomato and give myself that marinara fix, and came up with wonderful tomato substitution. Peel outer layer off onions and core apples. 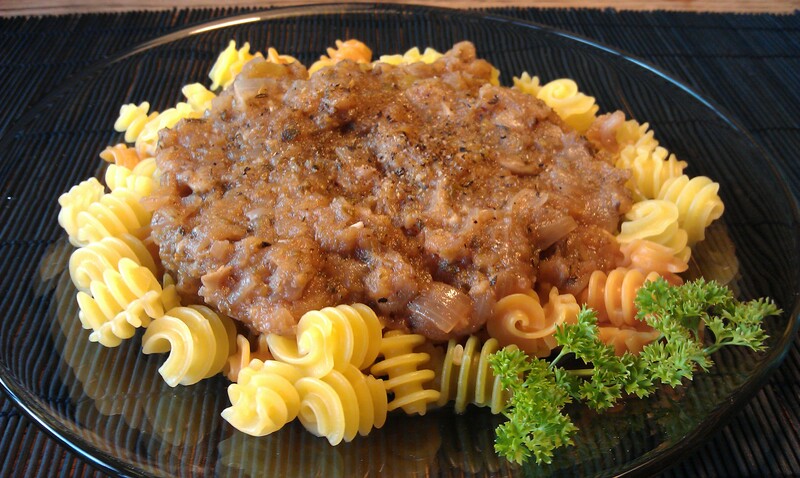 Chop onions and apples into small pieces (no bigger than 1/2″ x 1/2″). 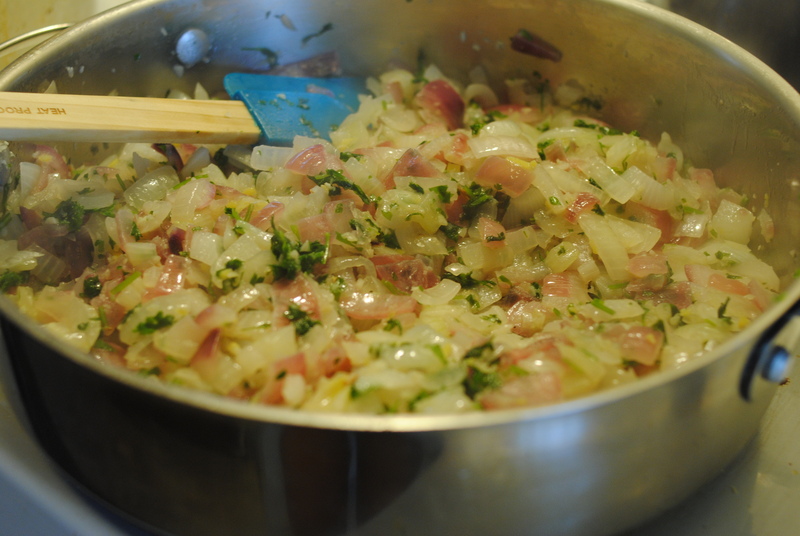 In a large, thick-bottomed stock pot, saute onion pieces and garlic in oil (medium high heat) until they become opaque. 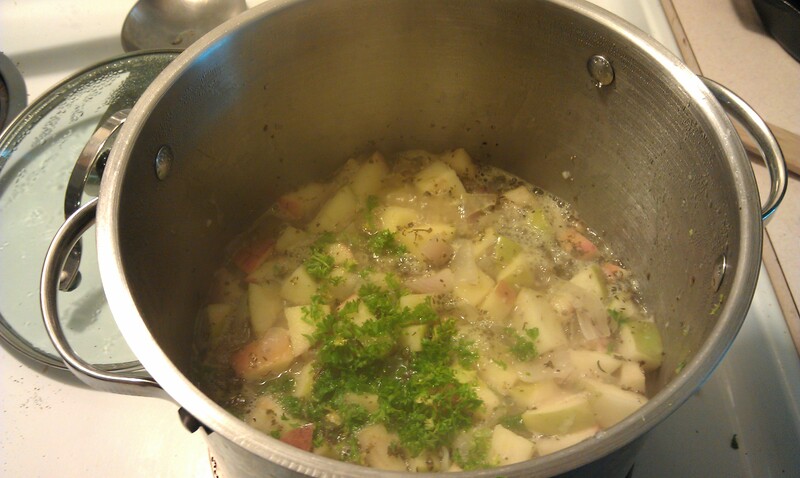 Add apples and broth, enough to cover solids, and turn up heat. Once at a boil, turn down heat to a low simmer and add bay leaf, oregano, Italian seasoning, salt, parsley, paprika, and pepper. 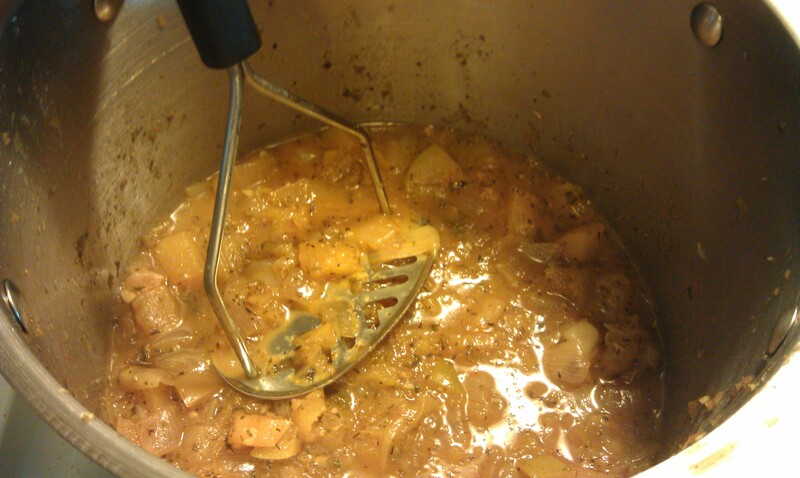 Simmer on low, covered, for 40 minutes. Stir as necessary. Carefully (don’t burn yourself!) 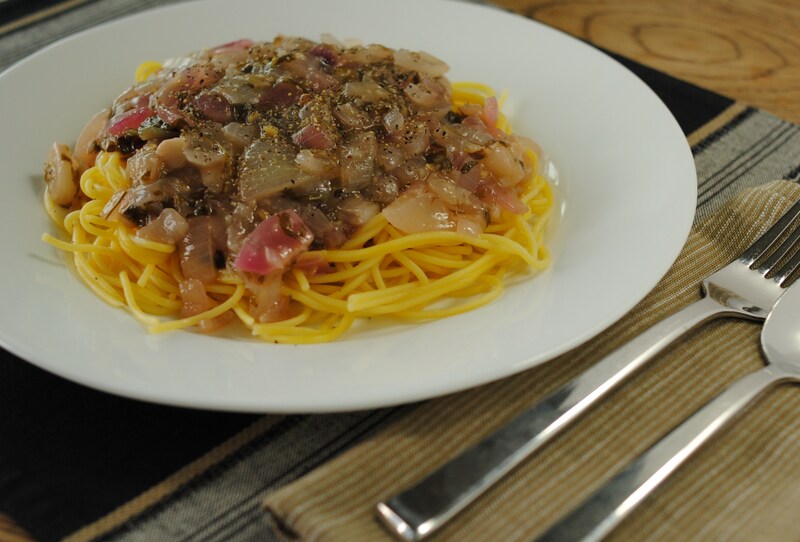 use a potato masher to break down apples and onions until the texture of chunky/thick marinara. 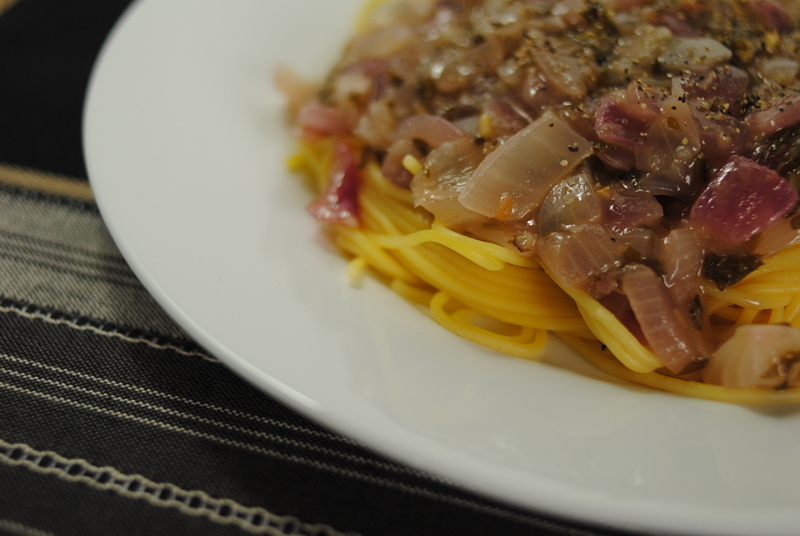 If you prefer a thin sauce, you can opt to use an immersion blender instead. Mashing the apples & onions. Put back on low heat uncovered for 10 minutes, stirring often. The sugars in the apples can cause the sauce to burn if not careful. 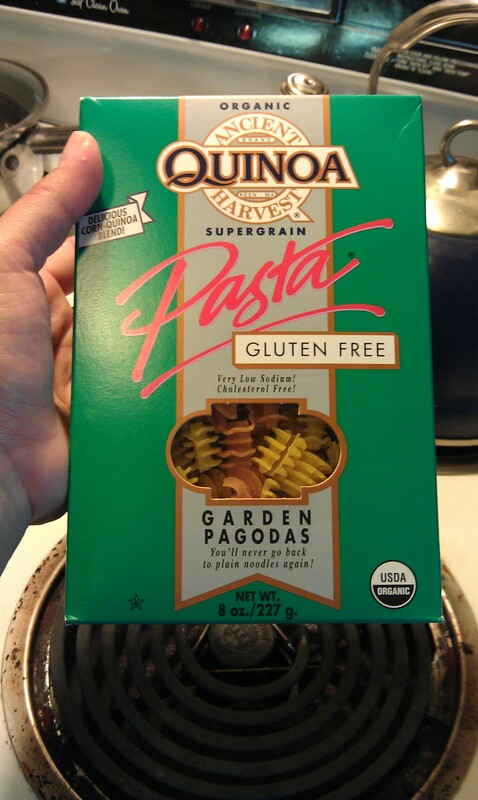 Serve as you would regular marinara. NOTE: This sauce freezes and reheats very well.